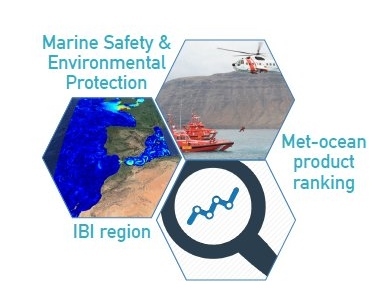 On May 16, 2018, SOCIB and Mercator Océan organised the kick-off meeting of the IBISAR project (Skill assessment service for real-time ranking of met-ocean data products in the IBI -Iberian Biscay Ireland- area for emergency and SAR -Search & Rescue- operators). The project is coordinated by SOCIB and it is funded by Mercator Océan in the context of the Copernicus Marine Environment Monitoring Service (CMEMS) User Uptake programme. The project involves institutions from the public and private sectors: a Marine Research Infrastructure and data provider (SOCIB, Spain), a technological centre (AZTI, Spain) and a downstream service provider (RPS Ocean Science, USA). Furthermore, SASEMAR (Spanish SAR Agency) and Puertos del Estado (Spanish Port System) collaborate as the main targeted user and as a key actor in the IBI region, respectively. The goal of IBISAR is to provide users with easily interpretable quantitative metrics and rankings of the different met-ocean products available, in their area of interest and in the time frame selected by them, in a user-friendly way. This service will guide SAR operators in selecting the most accurate met-ocean product on-the-fly, as input for their SAR and environmental modelling applications, to improve the response capabilities and to enhance the efficiency of marine operations (e.g. search and rescue missions and oil spill management). To provide an improved and easily identifiable quantitative metric for a proper assessment of ocean models by comparing pair of observed and simulated trajectories. To further develop and to validate a user-friendly downstream service for automated skill assessment, including “on-the-fly” confidence model validation with observations in the Iberian-Biscay-Ireland region. To complement the information provided by the decision-making support tools for marine safety and environmental protection field operations. IBISAR is an opportunity to connect the scientific community to the industry and users for sharing knowledge and to attract the society to the world of the ocean science, by this contributing to bridge de science-society gap.